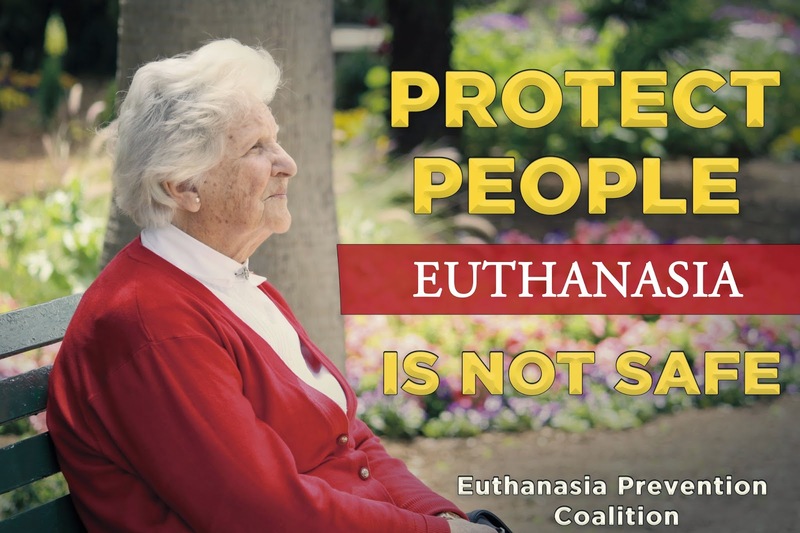 Euthanasia Prevention Coalition Euthanasia Prevention Coalition: Netherlands review committee says euthanasia without consent on woman with dementia was done in "good faith." This story is almost too shocking to believe... I tried following the links to the source, but I soon ran into Dutch sites that I could not interpret. Do you have any confirmation that these news have been officially verified? I would be unhappy to propagate "fake news". 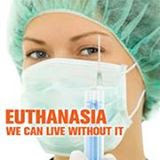 If these news are correct, then the dreadful scenario of "forced euthanasia" (a contradiction in terms, given that euthanasia in the Dutch definition is based on voluntariness...) has actually come to pass. No longer scaremongering. No matter how they slice and dice it this was, if it actually happened. a case of murder. That doctor should have been charged with the appropriate crime. The sad reality is that no matter how we look at it in Canada, the fact is that there are no safeguards against Euthanasia. Even though I would not want to be put to death, the reality is that the Doctors will go to the surviving children and give them a choice.... Either you pay "x" amount per day to keep your parent here or remove him or her. Or, if the children cannot afford to look after the parent themselves or pay for a nursing home, we can do it for you and voila, tomorrow, the parent no longer lives.Euthanasia, is legalized murder. As our Health Care Network and Governments struggle with the rising costs associated with looking after our elders, they will simply take the view .... Well, they have lived their lives, they have contributed and paid their taxes, now they can't so, let's get rid of them. If the family 'held her down' for the lethal injection, wouldn't they be held accountable or as responsible for her death and participating in this murder? Also, is there any indication that family members would benefit (financial, etc.) from this woman's death? There is good reason for the Biblical command '' You shall do no murder.'' (Exodus 20:13) Not only is human life sacred, but there is an afterlife, and each person has both the right and the need to prepare for it. This lady clearly do not feel ready to die. The actions of both family and doctor in this case are reprehensible - but even more so a society that believes it is ok to flout the laws of God in the name of 'humanity' and personal convenience. Beyond tragic. Living life with dementia is a terrible thing. Despite the probable fact that people with dementia are better cared for in the Netherlands than in the facility I know, it is probably still terrible. However, we don't know this for sure. There might be a meaning to it, as there might be a meaning to living with different forms of suffering. It is not our decision to end a human life in whatever form, shape, or condition. I can't imagine restraining my parent to do this. Doesn't sound like the "peaceful goodnight" that pro-euthanasia promises. Were her children all on board with this? What saddens me here is that her "dementia" was not severe enough that she clearly clearly knew what was happening to her. How horrible for her to die so violently at the hands of the people who she should be protected by at the end of her life. On my mother in laws 80th birthday I had occasion to visit with one of her best friends who was married to a WW11 vet. All of them in the facility were concerned that at some point, officials will come for them one night with a needle. They believe the sicker ones in other homed will be taken first, then them. They think it is only a matter of time. How dad our own elders in Canada think this. We have to redouble our efforts to fight this law. It seems to me that people all over the world are being 'removed' because of the cost to the Hospital, the Facility, the Government, the People, the Relatives, etc., etc., etc. In earlier days, families used to take care of their sick relatives at home. I know this looks like a fairly simplistic solution to get people out of government care, and I know it would not suit everybody, given the need for some of the Offspring to work and earn money, but I think it should be considered more than it is. The mentality now is that parents have to go to a Nursing Home, and the cost can be horrendous, and it may be easier to get it over and done and so be free. Sure, this is a bit of a generalisation, but I think that we need to get back to keeping our parents with us, and so potentially keeping our parents alive. Modified houses, community care, respite for carers, training on how to deal with an ageing relative. This is very basic stuff.